Click on image for movie. 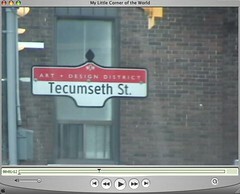 A quick trip along Queen St. West which is the street I travel the most. I only got the south side on the way towards downtown.